According to a recent survey by ASID, over 70 % of workers in the open plan design say they would be more productive if they had less noise in their workplace. Unwanted noise and distractions can reduce worker productivity and hurt morale. Research consistently shows unwanted noise remains a top ten complaint in the workplace. This issue has been exacerbated by the trend towards the open plan and lower cubicle walls. If acoustics are an issue in your workplace, it might help to understand the A, B, C’s of solving acoustical issues. Absorb: Sound can be absorbed by acoustical ceiling tile and to a lesser degree, carpet. Soft materials above and below the source of sound will absorb a portion of that noise. Block: Cubicle walls can block sound waves and direct a portion up to the ceiling tile. acoustical cubicle panels can absorb sound as well. Cover: Sound that isn’t blocked and absorbed should be “covered” by “white noise” or sound masking. Team Office is proud to represent Lencore, the industry leader in sound masking, mass notification and paging systems. If you’re concerned with the acoustics in your office, call Team Office today and schedule your FREE acoustical analysis. branding space. improve experience. drive preference. moving people. Great spaces are an extension of great brands. They are a vital link among spaces, people and brands. At Takeform, brand and wayfinding are dynamic allies with the power to move people in the built environment. Team Office is proud to partner with Takeform, the industry leader in branding, wayfinding and signage. Wayfinding isn’t about signage – although that’s part of it. It’s about the customer experience. Consider this before choosing your sign company. At takeform, their experience is deep and wide. So, they understand your unique desires and needs. Take a closer look at what takeform can do for you. Ready to learn more about what takeform can do for you? Call or email us and we’ll introduce you to our takeform specialist. According to the EPA, nearly 9 million tons of usable office equipment ends up in landfills every year. Unfortunately, there comes a time when every organization needs to get rid of excess office furniture and equipment. Office updates and renovations, closings and downsizing are the most common events that create excess office furniture. In most of these cases, there’s a limited amount of time to dispose of the equipment. 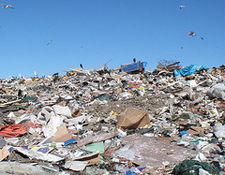 For many years, there wasn’t a good solution and businesses had no choice except to dump it in the landfill. In 1999, Team Office developed an efficient 4-step process for getting rid of excess office furniture and equipment and the best part is little to nothing ends up in the landfill. During the last 19 years, this process has become a valuable community resource for business owners, facilities managers, non-profits, commercial real estate professionals, and others who need to get rid of excess office furniture and equipment and do it in an environmentally responsible way. – Furniture trade-ins – A perfect solution for organizations looking to upgrade their existing furniture. The old furniture is removed right before the new furniture is installed. – Furniture repurposing – When planning new space, every effort is made to reuse existing furniture. Any excess pieces are placed in storage and reused on future projects. – Recycling – Anything that can’t be sold, repurposed or donated is recycled. – Donations – Team Office has donated hundreds of offices, cubicles and chairs to area non-profits. If you have excess office furniture and equipment and you’d like to get rid of it in a responsible way – call 816-221-9155 today or send us an email for more information. If you’re looking for an office furniture provider with a huge showroom, lots of people and a really fancy website, you might not like Team Office. Even though we love our home in the historic Crossroads District (we like to say we were here before it was cool) and our showroom is full of the latest furniture introductions from Teknion, it’s not huge and our 100 plus year old building certainly isn’t fancy. We like it that way because it not only fits our personality, it also helps us keep our overhead low and allows us to save our clients money. For the last 19 years, we’ve kept things simple and efficient. Our owners work directly with our clients – on a daily basis. No layers and no board meetings. That’s given us the opportunity to focus on our clients and their needs instead of on ourselves. We’re available to give our clients the time and attention to detail they deserve. Instead of building furniture museums, we invest our time and resources into our clients and their workspace. That’s why we named the company Team Office, because we believe office furniture is all about people and making them feel like the most important people in our world – instead of another “project”. Team Office isn’t an audio-visual company, a technology company or a general contractor. We’re a full service office furniture company with great products and a team of people who care deeply about our clients and what they want and need. With a simple google search, you can find a decent looking task chair for your office for as little as $75. While on the surface this sounds like a great deal and in most cases, the chairs look attractive and well made, the truth is these imported chairs might just be the most expensive chairs you can buy. This is true because of the cost of ownership. Even for a small company, no one buys a chair or any other product for that matter, hoping that it will last for a year or less. But, that is the case for a $75 task chair. The typical failure rate for a well-made, mid to upper end task chair should be 1 – 2 percent within the first 5 years. The vast majority of those failures will be the pneumatic cylinder that makes the chair go up and down. Those cylinders are a quick and inexpensive repair and almost always fully covered under the chair warranty. You get what you pay for. A $75 task chair is worth $75. The cost of manufacturing that chair was likely around $25. How long would you expect a $25 chair to last? We’re all different shapes and sizes. Just like a car seat, we need our office chairs to adjust to our bodies, not the other way around. A $75 chair does not adjust. The foam used in these chairs is the cheapest available. It’s a single layer, low density foam that will “bottom out” in about a year of constant use. That means you’ll be sitting on plywood in about a year. According to the Workers Compensation Research Institute, the average cost of a worker’s compensation claim in 2017 was almost $30,000. People in task intensive jobs need a chair built to support the user throughout the 40 hour work week. This is when a $75 task chair can get mighty expensive. $75 task chairs will break and when they do, you’ll pay at least $75 for a service call just to have the technician look at the chair. This is particularly problematic if you’re shipping these chairs to out-of-state offices. Don’t forget to factor in the time spent coordinating the service calls and tracking them to make sure the chairs are fixed properly. This combined cost far exceeds the original cost of the chair. When the chair does break, you may just throw it away and buy another. That is both bad for the environment and expensive. Plus, it costs time and money to cut another purchase order, expedite it and coordinate delivery. Most $75 task chairs come in black. If you have a lot of employees, all that black can make for a pretty drab looking office. Employee attraction and retention are major issues for many companies. A $75 task chair isn’t exactly a recruiting tool. While inexpensive task chairs may seem like a good idea on the surface, they are easily the most expensive chair you can buy. The cost of ownership alone will end up costing you more money than you wanted to spend for a chair in the first place. When you factor in worker comfort, health and safety, a $75 task chair might also be a dangerous choice. At Team Office, we sell high-quality, good-looking task chairs that are built to last. Our task chairs start at $175 and when you sit in one, you’ll feel the difference. Contact us today and we’ll send you a chair to try for yourself. Nobody likes to be “sold” anything. You might be surprised when I tell you that we really don’t want to “sell” you office furniture or “sell” you on how great Team Office is. We don’t want anyone to choose Team Office for their office furniture just because we persuaded them. We want people to choose Team Office because they felt we were the best choice for their needs and they were comfortable making that decision. Since 1999, Team Office has been saving people a lot of money and time when they buy office furniture and service. We’re pretty good at it and I’m glad we were able to provide so much value to so many people. We take the time to listen to our clients and understand what they want. We provide them with everything they need to furnish their space in a way that they can feel proud every time they walk into their new office. Throughout each project, we work to eliminate problems before they happen and finish on time and under budget. All of these things are important and necessary but they aren’t the driving factor or the best thing that we will build with our clients. When a project is complete and we’ve given everything the client expected and more, we’ll both walk away with something money can’t buy. We’ll walk away with a relationship that we can count on and enjoy for many years to come. Selling office furniture and service is transactional and short-term. When the transaction is complete, the relationship is over. Sustainable relationships start before the transaction takes place and continue on indefinitely. Sustainable relationships bring meaning to our work and the more meaning we have in our work, the more fulfilling it will be. Studies show, people are more productive when they find their work meaningful. Transactions are focused on an exchange of something for money. Sustainable relationships are focused on people. Focusing on building sustainable relationships instead of conducting transactions will not only put more meaning in our work, but will lead to greater productivity and better quality as well. I hope you are enjoying a sustainable and rewarding relationship with your furniture and service provider. If you’re not, I’d love to hear from you.